Purchasing a home, for many, is the largest investment they will make in their lifetime. Prior to committing to a sale it can be prudent to contract professionals to assist you in determining the state and condition of the home. Timber pests can cause extensive damage and are not always obvious and sometimes in the period after moving in to the newly purchased home they can come to light. Expensive repairs and correction often follow and come with disruption to our normal living routine. Having a professional conduct a Pre-purchase Timber Pest Inspection to AS 4349.3-2010 is a must to ascertain if timber pests have been or are present within the building structure and surrounds and will highlight any situations that are conducive to timber pest activity. A timber pest inspection will specifically look for subterranean termites, wood decay fungi and beetles that attack timber in service (borers). It will report on any environmental conditions that could lead to timber pest activity. It should be noted that a timber pest inspection is a non-invasive visual inspection to all accessible areas of a building including any sub-floors, internal areas, external areas, roof voids and surrounds. There are limitations to an inspection as there are many regions of a building such as wall voids, voids under and around baths and showers, and scallion roof that cannot be accessed. 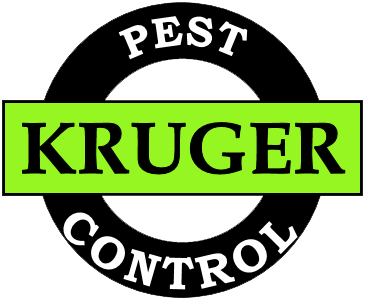 At Kruger Pest control we are not only qualified to conduct timber pest inspections we are experienced in dealing with timber pests situations such as subterranean termites and borers. This gives us a better than average understanding of how timber pests gain entry into buildings and how they behave. We have available to us and use equipment such as Termatrac* the world’s number 1 termite detector which is a multi-function piece of equipment which uses radar technology to detect termite movement within walls, moisture sensor to measure moisture levels within walls and timbers and thermal sensor to measure temperature variation. All of these features are very effective tools for detecting subterranean termites that otherwise could go undetected. For Timer pest inspections & Report, Contact us now!